I appreciate all of you who read my blog and just wanted to thank you for your interest and for the nice notes some of you send me. I’m always happy to know that someone has enjoyed and learned from my research. 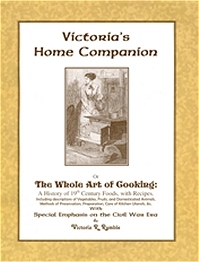 My books “Victoria’s Home Companion” and “Outdoor Recreation & Leisure Through 19th Century America” are listed on the store page of the blog, and blog readers may order at discount prices. Regular price for each is $25. but email me and tell me you’re a blog reader and you may have your choice for $15. or both for $25. 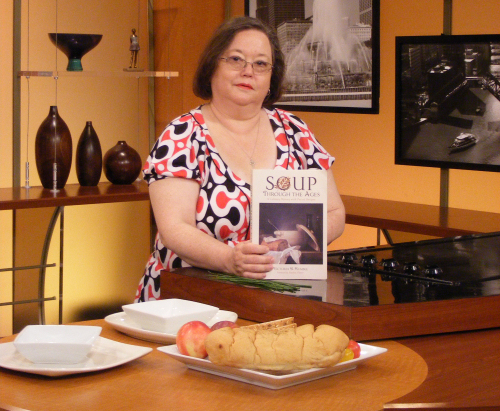 Shipping costs are $3.50 each in the continental U.S.
“Soup Through the Ages” is sold by McFarland Publishing Co. and thus I cannot discount it, but you may order copies from their website. 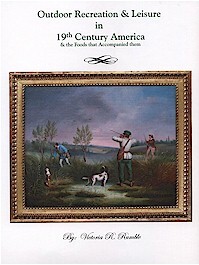 I found the most delightful book recently, written by an Englishman who spent a year in the U.S. in the summer of 1794 and wrote profusely about everything he encountered, including having tea with the Washingtons. That ties in with my last couple of posts so I will share some of his thoughts with my readers. 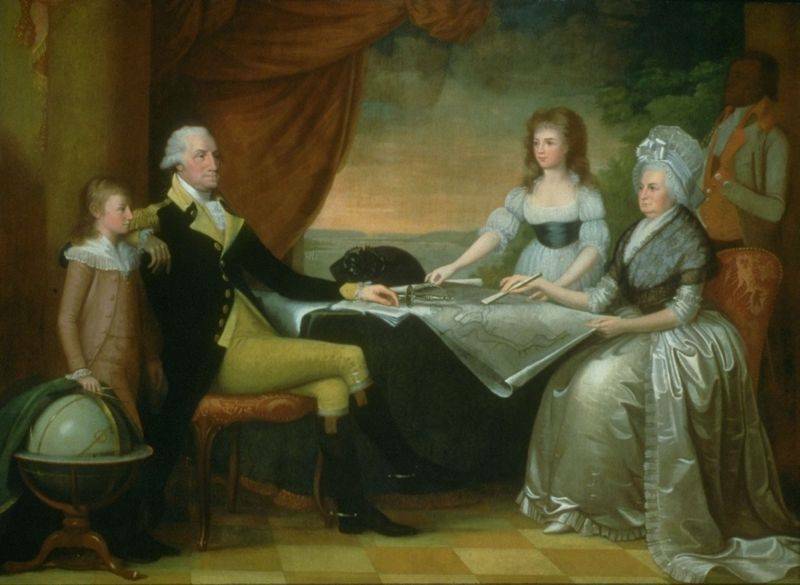 From that description I think I would have liked Mrs. Washington and her unpretentious manner. He found the heat in and around Philadelphia unbearable yet he was served iced fruit punch and was interested enough in how that came about to ask the proprietor to see the ice house. “We asked Oeller to shew us his ice-house, to which he readily conducted us himself. We went through his hot kitchen, which seemed like a furnace, and on his opening two doors, we found ourselves in Nova Zembla, or in other words, standing on a huge body of ice, forty feet thick, and twenty feet square. On it he kept his dishes of butter, cold dressed provisions, sallads [sic], &c. It was a vaulted room, under the flight of steps by which you enter his house on the street side: but the chill was too sudden and intense for us to remain long there; we were glad to feel again the heat of the sun, although but five minutes before, we were burning under the fervor of its meridian rays”. I seriously doubt that the ice was 40 feet thick, and wonder if he either misunderstood or carelessly exaggerated its size. The number could have been a typesetter’s mistake that went unnoticed until after the printing. He thought Bartram’s reception lacking in enthusiasm, and I wondered if, at his advanced age at the time of the visit, if he hadn’t tired of a steady stream of visitors over the years wanting to hear of his exploits. This post is extracted from a historical article that was published in “The Magazine of Magazines”, Feb. 1757. The author prefaced his account by saying the effects of the tea plant put some people into vapours, affected their complexion, spirits, and nerves, so as to apprehend themselves either dying, or dangerously ill, gave others the cholic or gripes, and affected not a few with tremors, &c. while it enlivened the mind, eases the stomach and bowels, and helps to brace the nerves of others. His statement, “though it is almost universal in use”, gives testament to the commonality of tea drinking by the mid-18th century. Only the small uppermost leaves were harvested. “These leaves are scarce fully opened, being only of two or three days growth: but they are accounted the best, fetch the best price, and are called the Flower of Tea…” Older leaves were classed and sold, “according to their size and goodness. The greater quantity imported into Europe is of the third, or grosser sort…”. Some accounts indicate it took up to three years from the time the leaves were picked, dried, and rolled for them to arrive by ship in the colonies. By then a great deal of the flavor was lost. Consider also, that because tea was still somewhat of a luxury, early accounts speak of using the same tea leaves up to a half dozen times, and we begin to comprehend its value. “After the leaves are gathered, they are, the same day, carried to the workhouse, and roasted over a slow fire in an iron-pan: and that they may be thoroughly and equally dried, the roaster keeps them constantly stirring with his hands: then takes them out with a shovel like a fan, and commits them to the rollers, who roll them with the palms of their hands, in small parcels, till they are equally cooled, and the sharp, yellow, and greenish juice is quit discharged; if not, they are roasted and rolled a second and third time till it is: and then they are poured upon a mat, and sorted a second time into different classes according to their goodness; and those that are less curled or burnt are taken out. As soon as this prepared Tea is quite cold and sorted, the Chinese put it into boxes of coarse tin, inclosed [sic] in wooden chests, and carefully stopped in all the clefts with paper, to preserve the Tea from the effect of the air. These boxes, tubs, or chests contain about one hundred and twelve pounds each, and are the same in which the East India Company imports their Tea into the port of London. It is commonly said, that the Dutch were the first importers of Tea into Europe, about the year 1606, for which they exchanged dried sage with the Chinese. And tho’ the English did certainly, about the same time, gain a knowledge of this shrub; we do not find that the government took any cognizance of it till the restoration, when in 1660, a duty of eight pence per gallon was laid on the liquor made and sold in all coffee-houses, and attended with the inconvenience of an excise officer’s survey, who was not obliged to attend above twice a day”. The author praised the quality of Japanese tea and noted it was also grown in Siam but made no comment as to its quality. 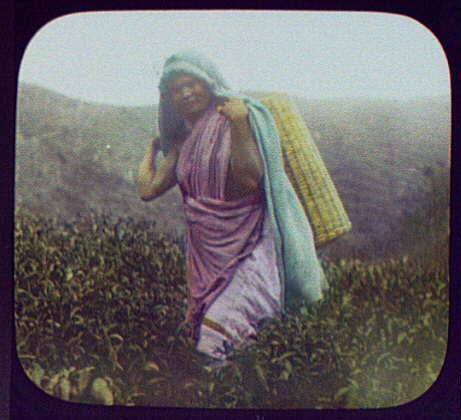 “The Tea commonly imported amongst us, is only of two sorts, green and Bohea. At first the Europeans mostly used the green: but since the Japan trade is lost, and we have traded most with the Chinese, who, when they are weak, chiefly confine themselves to Bohea, and ascribe to it a singular virtue of healing, and preventing diseases, and applaud it as the balsam of life to the human machine, we have introduced the use of Bohea-tea very much; tho’ Green tea is still the favourite of nice palates, and persons of high rank”. Green tea is distinguished by the names of Hysson…imperial, common, and ordinary”.